No one questions that one of the biggest hires a startup will ever make is its first product leader. But what separates those who become foundational leaders for years to come from those who fail to find their footing? And given that product management is still in its infancy what does product leadership look like? 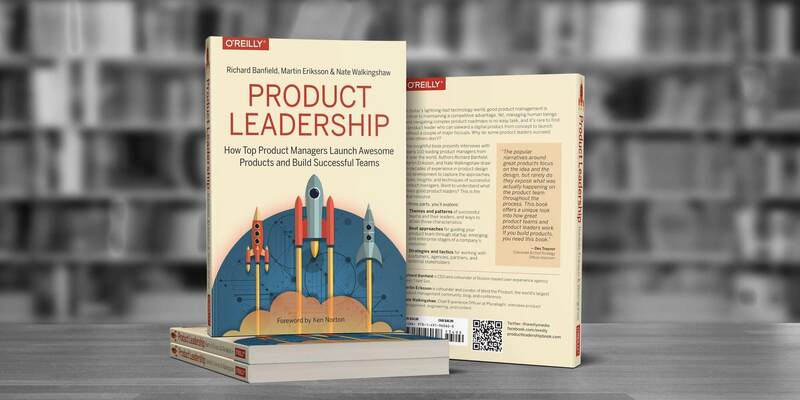 Martin Eriksson tackles these questions and more in his new book Product Leadership: How Top Product Managers Launch Awesome Products and Build Successful Teams. Along with his co-writers, Richard Banfield and Nate Walkingshaw, Martin interviewed nearly 100 product leaders from the likes of Airbnb, Basecamp, Intuit, Intercom and many more. Martin recently joined me on our podcast to discuss what he discovered in the process of writing the book. Martin is also the founder of ProductTank, the world’s largest product management community with meetups in more than 100 cities around the world, and a co-founder of Mind the Product – an annual conference in London and San Francisco. When he’s not writing or running events, he’s advising startups, enterprise companies, and everything in between on how to build successful product teams. 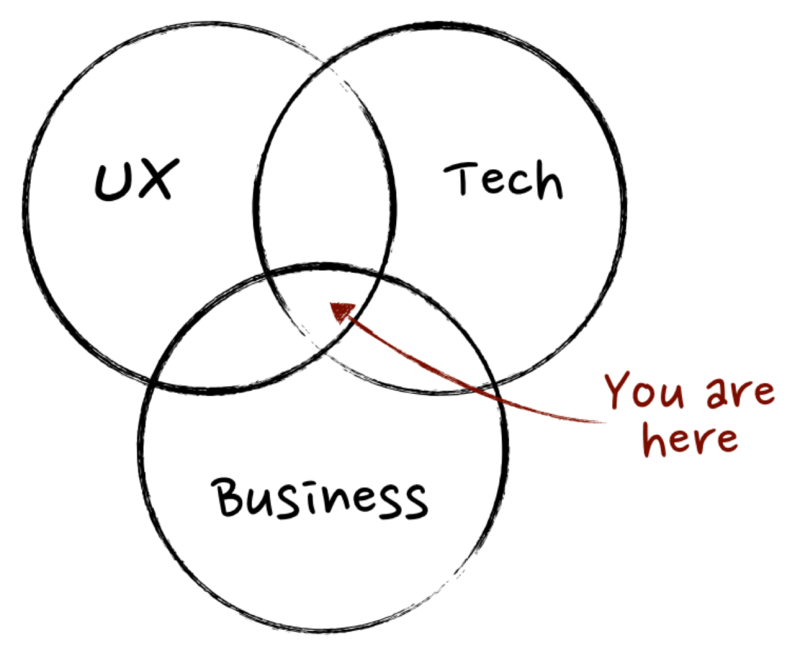 No matter where their experience lies, a great product manager has a passion for UX, tech and business. That goes beyond interest – it means being excited about the things you don’t know. The problem with the product manager as CEO metaphor? It comes with implied authority and implied control, when in reality product managers have no authority and thus must lean on collaboration. When it comes to hiring your first product leader, Martin encourages startups to focus on potential for growth, rather than chasing the shine of someone who’s already a VP of Product elsewhere. Communication is the number-one soft skill that product leaders must master. Without it, bringing both internal teams and potential customers along with your product vision is immensely difficult. The best product teams are autonomous and co-located, and the organizational decisions you make at the startup stage will set the trajectory for how that scales. Adam Risman: Product management compared to design and engineering business, is certainly a younger field, and one that people come into from all sorts of different paths, so what was yours? Martin Eriksson: I started as a web designer or web developer, in as much as anyone was web developer back in ’95-’96. It was basically HTML and CGI script. We didn’t even have CSS at the time. I started as web designer, web developer, kind of realized I didn’t have enough talent to be a designer. I wasn’t logically minded enough to be a good coder, but being able to bring those together with some business was the great fit for me. Adam: You’ve got an oft-quoted definition of product management: “You’ve got to be experienced in at least one of business, UX or tech, passionate about all three, and conversant with practitioners of all three.” I want to ask you about that passion part. What qualifies as passion to you? Martin: It’s a great question. It’s one of those really difficult to define words, and it’s somewhere beyond just a mere interest in it. I just think it’s important to be excited about those different areas and be excited about the things that you don’t know about, which is one of the biggest challenges in product because it is such a generalist role. There’s always going to be something that you don’t know about. You’re not going to be the best designer in the room. You’re not going to be the best engineer in the room. You’re not going to be the best business person in the room, but being excited about that, and being open to that fact, and being able to reach out to other people for that expertise, that’s the level of passion that I look for. As opposed to just mere interest. Martin’s oft-cited definition of product management. Bias is obviously a really dangerous thing for product managers, so it’s essential that you shouldn’t let whatever you have that deepest experience in color everything else that you do. But again, the great product managers have passion enough for those other areas to know that there’s strengths that come out of those as well and that it’s important to embrace those and understand those, and not just bring your own experience to the table. Adam: When you talked about knowing what you don’t know, what’s your advice for young product managers when it comes to building those relationships in the areas of the business where they don’t have experience? As much as we apply empathy to our customers, we should be applying it to our peers. Martin: In product, we say a lot, get out of the building, right? I would also just say, get out of your office or get off your floor. Go hang out with the rest of the team. Go sit next to the designers for a day, go sit next to the engineers for a day. As much as we apply empathy to our customers, we should be applying it to our peers as well, and that’s how you learn those things and how you get an appreciation for what goes into that work. Adam: There’s an often cited metaphor that the the product manager is the CEO of their product. I believe Ben Horowitz originally coined that phrase, but you’re pretty passionate that’s not exactly the case. Where do those two roles differ? Martin: A lot of it just comes out of the expectation of that role. I did write a rant about this recently, the focus of which is that product managers need to realize that they have no authority like a CEO does and that they can’t act like that. Of course, great CEOs don’t act that way anyway, they are very collaborative and they are very open to their organization so the analogy gets a little gray in areas. Great product managers do act like great CEOs but that’s a distinction that gets lost sometimes when we talk about that definition. And that’s my main push – we shouldn’t think about product managers as CEOs, because it comes with this implied authority and this implied control over everything that happens, when really product managers have no authority. We have no, almost no, direct reports. All the teams and people that you need to build great products, don’t report to you, so you have to be much more collaborative and much more open than a CEO can be. Ultimately, as much as you should own your product and be passionate about your product and feel like you are ultimately responsible for it, you still have someone behind you. You have the management team, the CEO behind you to kind of help you or back you up when you get into trouble. But the CEO doesn’t. Adam: You advise on product management for startups and many of our listeners are at that early stage. When you’re going into companies like that, what are some of the most common issues that you’re helping those teams through? Martin: A lot of it is helping founders, especially, let go of their baby a little bit and understand that they need to let the rest of the team around them and, ideally, a product manager when they hire that person, take over that role. Because the CEO or the founder has other jobs, to do as the company scales. They’re focused on fundraising and hiring and building the company culture and having that overall strategic view. So there’s a lot of coaching to just let go a little bit and give autotomy to that product team as they build it. The other big piece I end up advising startups on a lot is how or when to hire that first product person. One of the key things there is to think about not going straight for that super experienced VP of product, because it’s probably not the right person for you at an early stage. Think about hiring a product manager who has the potential to be in that role in three to five years time, depending on how your company grows, but who also might not grow into that role. Then you hire a VP at the later stage. Adam: What are those clues that someone has potential? Martin: It’s a lot about having a bigger picture view and showing you are not an individual contributor but a leader of people. That’s obviously very tricky to define – it’s an X factor you see in someone’s work. Great product managers who have potential to be product leaders often don’t talk in the first person – that’s one of those little clues you could look for. They talk a lot about “what we did as a team”, “I helped the team do this”, “we achieved these goals”, not in the first person. Adam: Speaking of product leaders, that’s the theme of your new book, Product Leadership: How Top Product Managers Launch Awesome Products and Build Successful Teams. Why this book and why now? Martin: As you said at the beginning of the podcast, product management is still a fairly new field. Right? It’s a fairly nascent kind of job role. We’re starting to see more writing and thinking and thought leadership come out about product management but nobody had really talked about what product leadership means. What does that next step up look like? What do VPs, CPOs, Directors of Product, have in common and what does that look like? We just got excited about being able to look at that field. Myself and my co-authors also decided that although we’ve been doing this job for a long time, it wasn’t about trying to present our view. We wanted to go out and talk to people who were doing this job to figure out what were they doing, and how does it differ, and what are the themes that come out of that. Really, as with a lot of the other stuff that I’ve done, it’s just a great excuse to go out and talk to some amazing smart people and learn some stuff about this job that we do. Adam: There are several stand out conversations and quotes in the book. You spoke to about a hundred different product leaders, people from Airbnb, from Basecamp – our own Paul Adams is quoted several times in the book. Take me back to the the beginning of your process. Was there any hypothesis you went in hoping to prove or investigate and anything through the process that really surprised you? Martin: We went into it very open ended. We probably had had about a dozen interviews before we even sat down and tried to lay out the book and figure out like what is this going to actually be. What came out of that was, perhaps unsurprisingly, that there are no real differences in product leadership. Everyone faces the same challenges whether you’re in a small company or a large company, in the U.S. or in Europe, whatever the differences are. But the main theme that did come out was how you act on that is probably different in a startup versus an emerging company versus an enterprise company. And that’s how we structured the middle section of the book. It’s a kind of choose your own adventure, depending on what stage company you’re in. To make it more aligned with the specific challenges of being in a startup, and maybe that handover from a founder to a first product person, building that team, through to an emerging company, and then all the way up to enterprise where you have very different challenges to face. Adam: As Ken Norton points out in the foreword of the book, in this industry right now we’ve got project managers, product managers, program managers – and they all call themselves PMs. Are the terms interchangeable or do we need clear industry definitions? What’s your feeling here? Martin: We do need some clarity. I tend not to get too engaged in the job title debate because I don’t care what your title is as long as you care about the product. In our conferences and our blog, we talk a lot about product people as opposed to any specific title. Because we want to be all encompassing, and we want to bring in product owners, designers, engineers, product managers, project managers, anybody that touches the product at the end of the day owns some part of that product. And they need to work together as a team because no one role is going to be able to do everything needed to build great products anymore. Adam: How did you collaborate between the three of you on the book? Did you split up the types of companies you were going to investigate? Martin: We did not split up the interviews, that was more like our own networks, like who could we reach out to and have those conversations with. We then got transcripts of all that, put it together in a series of Google Docs, that we could all read and share and use, and annotate with quotes of what we wanted to pull out. The biggest thing for us, because there’s three of us, Nate Walkingshaw, who lives in Salt Lake City; Richard Banfield, who lives in Boston; and myself mainly in London, was we had a geographical challenge. So we got together – I think four times in the end – and sat down for three, four days together. We’d rent an Airbnb or a cabin or something to just get away from our day-to-day work. And really try to get pen to paper as it were. Although originally we decided to have the book split up by chapter, and we would write a chapter each, we actually ended up with one giant, monolithic Google Doc, which took about 20 minutes to load towards the end. So yeah, we had an 80,000 word Google Doc at the end of that. It was actually a great way to work because we would see when one of the others was editing something and we could jump in and add a quote that we’d found from an interview we’d had and kind of work on it that way. It ended up being a very natural flow even though there’s three authors. Adam: In the book you say top product leaders build teams and processes that focus on the big picture and not on advancing personal agendas. Is that typically a hard transition for founders or other very early stage employees who are personally invested in that product? Bring data and evidence to the table when you are making decisions, not just opinion. Martin: Yeah, one of the biggest challenges in any startup journey is that founder or founders letting go of their baby. Most great startups start with someone who’s passionate about the product or passionate about the customer problem they’re trying to solve. They are the product leader from day one, right? Whether they’ve had that experience or they have the job title or not, they’re the ones shaping the product direction, talking to customers, etc. It’s absolutely a really big challenge for that person to then let go of their baby as the organization grows, as the problem definitions become clearer and they need to scale it. That’s a big challenge that we did talk to a few people about, and there’s no one answer to it. It’s more about coaching and building trust as that new product manager or VP that comes in. Showing that you have the best interests of the product at heart, and you are bringing data and evidence to the table when you are making decisions, not just opinion, and earning that trust from the founders. Adam: For founders, as they let go, how close should they remain to customers? Martin: It depends on the founder. There are some that are generally more business-minded and then can take that opportunity to focus on the bigger picture of hiring for the rest of the company, the strategic direction of the whole company, funding rounds, all those other things that come into a CEO role. The startups that are lucky enough or smart enough to have a design founder or a product founder, obviously they can be much more involved, and they can have that kind of, strategic ownership. A general conversation we need to have in product management is separating out the individual contributor track from the leadership track. A lot like engineering has done. There are differences even at that senior level. So you can have an architect who’s a very, very senior developer, but doesn’t necessarily manage people, and it’s a recognition of the fact that they have a lot of control over the technical architecture, and they have a lot of experience to bring to the table, and it’s a very senior role, but without people management. That’s the kind of role that a lot of great founders end up taking on, a product architect role. They have that big picture vision, they’re still out talking to customers, they’re still involved at a very high level, but they’re not giving the day-to-day direction or day-to-day writing product stories, etc., for the team. They have a product manager to run that or a VP of product. Adam: In those early stages when everything is about building and shipping as quickly as possible, getting feedback and iterating, there’s not exactly a lot of free time. When should they start looking at mapping out those progression paths? Martin: At the end of the day, a great founder is designing a company, right, as much as they’re designing the product. So they need to be thinking about those progressions as early as possible, and to have that in mind as they start hiring people. That was the point I made earlier about thinking about who you hire as your first product person. That it isn’t going straight for that VP level, it’s getting someone on board who can take more of the day-to-day off your plate, and then can grow into that role, and take over more of the ownership over time. And it’s important to be aware of those paths and how you want to design your organization as early as possible. Even if it change’s a little over time. Adam: One thing in the book I found really interesting is how you stress the importance of soft skills in product management. Martin: Ironically, the hardest skills, but yes. Adam: Of those soft skills, is there one in particular where you see product managers struggle the most? And how can they work to close that gap? Martin: Communication, at the end of the day, is probably the biggest soft skill that a product manager or product leader has to be great at. You need that throughout the process. You need it at a high level when you’re setting the product vision, you need to be a great storyteller, and bring everyone else in the company and probably your external customers along with that product vision. And then down to the day-to-day of what are you prioritizing and why. What is coming up next on the roadmap? Writing stories for the developers, whatever those skills are, all of it comes down to communication. The tricky thing with communication is that the best way to learn it is to do it. That’s why product management is such a difficult job to get into sometimes because you have to have the experience before you can do it. And there’s just no substitute for working on that. But there are a lot of great side ways that you can learn. So I encourage people to go do communications training, speech writing training, go do stand-up…whatever it is that floats your boat. Just to learn to think about how to communicate a story, how to write – those kind of things are very important. Adam: Stand-up is particularly interesting in that it says a lot about how to take feedback as well. Martin: Yeah, absolutely. Communication’s a two-way thing, and that’s something we forget sometimes, especially in this world today. It’s not about broadcast, right, it is a two-way communication with your team, with your customers, with your leadership, whatever direction you’re doing it. Adam: You’ve got these three phases in your book; there’s startup, emerging, and enterprise companies. I know it’s not like driving across state lines, the distinctions are a little bit blurred, but how would you describe the differences between them in the context of the book? Martin: A lot of it obviously came down to how product leadership changes over those three phases. The startup is very much defined in our world as product leaders in that transition from the founder to that first hire. The first product leader in the company is one of the founders, whether they have that experience or not, they are the ones shaping their product direction, so it’s very much about them learning how to be product managers, product leaders. The emerging organization’s much more about, “okay, we’ve hit on an idea, we have some kind of idea product market fit”, and it’s all about scaling and optimizing at that point. It’s about scaling the team to be able to handle those different challenges. It’s moving away from a world where you’re maybe 80% in discovery mode and 20% in delivery to more about 20% discovery and 80% delivery. That takes a different team, and it takes a scaled up engineering organization, and a little bit more process so you can manage that throughput, etc. Adam: So for early stage product leaders, as they move across that spectrum from emerging to enterprise, what responsibilities should they be thinking about, and possibly preparing for now? Martin: It comes back to those soft skills, right. So it’s about how you lead people, and how you choose to lead people, and how you choose to set up your organization. One of the things that we did here, it came up surprisingly often from the interviewees in the book, is this idea of embracing autonomy. It’s something that the three of us are very passionate about so we’re glad to hear that, a nice bit of positive reinforcement in our interviews. Your best product teams are going to be autonomous and co-located. That’s something we also emphasize in the book is that, your best product teams are going to be autonomous and co-located. It’s a new kind of organizational idea that’s coming out in various forms. There’s kind of extremes like Holacracy, but we’re seeing it a lot more in companies like Spotify, TransferWise in the UK also does a great job of this. Having highly autonomous teams that are aligned by direction – obviously you don’t want complete chaos and everyone pulling in every different direction. So there’s still a big role for the founders and the product leaders in the organization to make sure that there’s a unified direction, a unified strategy. But then they give those teams the autonomy to execute within that plan and contribute to the goal. When you see it in action, it’s a hugely effective way of having product teams work, and that’s the kind of thing that you need to think about as you’re scaling organizations. Is that the kind of team that I want to build? Or, what kind of processes do we need to start thinking about putting in place? There’s something to be thinking about around maybe product debt or design debt. The technical teams are much more aware of these, and as you scale, you need to remember that those things you maybe shoved out the door just to test or that you maybe didn’t test, weren’t that successful with the customers, you need to think about those and how you’re going to clean that up as you go, as well. Adam: Are there any processes you could recommend for that? Martin: It’s just generally being aware of it. I’m a huge believer in co-located teams so I also believe in having physical artifacts in your room. I don’t think there’s any replacement for giant whiteboards, and giant printouts, and Post-its all over a wall. There’s a huge power in just having, you know, almost a wall of shame, of like post-it notes of things that like, you guys tried, and it didn’t work, and maybe you didn’t have time to take it down right away, but you need to be aware that when you’re coming back to revisit that section of the product or the code, that you probably want to do something about that. Who and what is next? Adam: You’ve spoken to so many product leaders, whether for the book or with Mind the Product and Product Tank. Who is doing something in the field that we should all take notice of? Martin: The beauty of it is that we can learn from everyone, right? And that’s why I still love doing what I do and being part of Product Tank and Mind the Product and this book is that, it is all about listening to everyone out there actually doing it. I don’t think there is any one right way. That’s a challenge, when you start out, of like, “but I need that template, I need something to get started with.” But I just don’t think it exists, because our products are so diverse, our customers are so diverse, there are different ways to skin the cat, and there are different ways to approach it. Product Management is More Important Than Ever by Martin Eriksson from Mind the Product on Vimeo. There are definitely some great thought leaders, though and we tried to interview them in the book. I think Intercom are doing some really interesting things, and are surprisingly aligned with how Basecamp does stuff sometimes, and sometimes not. But you’re also doing something on kind of your own way, which is great because you’re proving that you’re iterating and learning on your processes as much as you are on your product. That’s the big key that we all need to bring to our jobs. We have this great mindset when we’re building products now about being iterative, being responsive to change, and being responsive to feedback from the customers, and we need to apply that same process internally in our organizations and our process of what’s working, what’s not working, and how do we change this. Do we want to do two week sprints, do we want to do six week sprints, do we want to do three month projects, like how do we want to do this? There is no one right answer, except for what works for you and your team. Adam: Our roadmap has evolved quite a bit in the past year. It was looking at six weeks, six months, six years out, now we’ve dropped the six months and we’re concentrating on the six weeks. So there’s no one size fits all, and that’s not just for the company level but from year to year, even quarter to quarter. Well we’ve only been able to unpack a short amount of what’s in the book so there’s plenty more for our listeners to get into. Where can they find out more about what you’ve just published, and what’s next for Mind the Product? Martin: The book is available at at productleadershipbook.com. We’re going to try to keep that site updated. We keep talking about all the interviews we didn’t get a chance to do for the book so we’re hoping to be able to follow up on some of those and start publishing more content, more regularly, hopefully. And then obviously its our job, it’s so important to come together as a community. You know, reach out to your local Product Tank, we’re in over 105 cities around the world now. The beauty of that is it’s run by product people for product people, and it’s a very open and welcoming community. And then obviously we have the two conferences a year at mindtheproduct.com and all that content from the whole community comes together at Mind the Product. Adam: Martin, we know you’re a busy man so we’ll let you run. Thanks for coming in. Martin: Thanks so much for having me. Drawing from many of the best posts on our blog, Intercom on Product Management offers guidance on the tough decisions you need to make as a PM. Get your copy today.